Home Local news FG Has Not Awarded Contract For 2nd Niger Bridge? 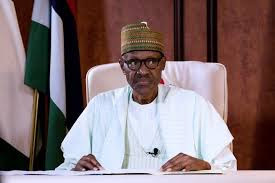 The House of Reps Committee on Works, yesterday, declared that the Buhari adminstration hasn’t awarded the contract for the second Niger Bridge. The Bureau for Public Procurement, BPP, was accused of deliberately frustrating the award of the contract. The committee stated that while the works ministry had concluded early procurement processes for the award of the contract, the Federal Government had not awarded the contract because of the delay in approving the due process by BPP. The committee said the construction work being done by Julius Berger was the early earth work which is in four stages and not the building of the bridge as the public was being made to believe. Chairman of the House committee, Rep. Toby Okechukwu, made this disclosure in an interview with journalists yesterday. Okechukwu explained that while the ministry of power, works and housing had concluded work on the contract details and forwarded same to the BPP for approval, the lawmaker however, regretted that the inability of the BPP to approve the contract is holding back the Buhari administration from awarding the contract for the bridge. Already, Okechukwu revealed that Julius Berger was scheduled to complete early earth work on the bridge by June, warning that unless the BPP approves the contract for procurement, the construction firm may leave site and remobilising to site might cost an estimated N10 billion. “The government hasn’t awarded the contract for the second Niger bridge. And Julius Berger is due to stop work by June and if they demobilize and mobilize again, it’s going to be very expensive. “I’m aware that the ministry has concluded their negotiations with Julius Berger and submitted it to due process. Due process are the ones holding the process down. “Julius Berger is working. They’re piecemeal early earth works one, two, three and four. Early earth works four will end in June. If it ends, you’ll go through procurement again. “So, why are you not procuring the entire contract? And there is no framework for expenditure of money put in the budget if you don’t have a contract. The money put in the budget will be a waste if you don’t award the contract. “And why should you award four different contracts going through processes for the past three to four years. So, there must be an end to every litigation. “If this contract is not awarded prior to the end of June, it will be colossal in terms of the economic and financial consequences in the contract execution. “If Julius Berger demobilizes and has to mobilize again, it will cost not less than N10 billion. And more importantly, you’ll not be able to take advantage of the seasonal weather issues,” he said.